What Do You Want to Know about Prayer? I’m posting today because I want to share some exciting news with you, and I’d like your help. I feel God calling me to write a book on prayer! If you’ve spent time with me here, you know I love to pray. I love to write prayers. I love to teach on prayer. I love to study prayer. In fact, many of you have encouraged me to write this book for years! 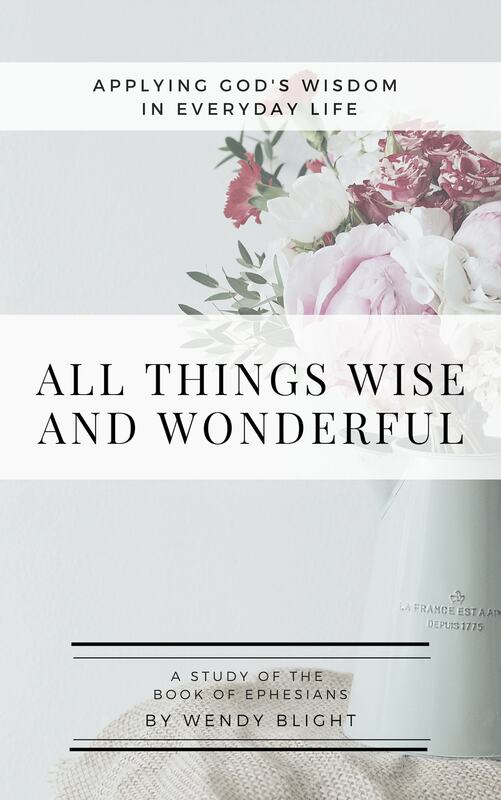 So as I embark on this journey, I can’t think of a more amazing community of women to help me get started than YOU my faithful Bible study friends because I know so many of you love prayer, and I value your thoughts. SO, I’d like to hear YOUR thoughts and questions about prayer. I’ll keep this post up for a week or two and invite you to leave any and all questions about prayer that come to mind. NO QUESTION IS A DUMB QUESTION. I won’t answer any questions time, but I will use them to help me choose what topics to cover in the book. GIVEAWAY NOW CLOSED. THANK YOU THERESA MASON, YOUR COMMENT WAS DRAWN AS THE WINNER. PLEASE SEE YOUR EMAIL FOR MORE INFO. Thank you in advance for helping me!! 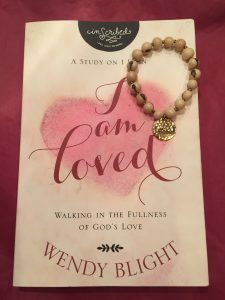 I’ll choose one name from the comments to win a copy of my new book “I Am Loved” and the “I Am Loved” bracelet especially created by Fashion and Compassion. U.S. Addresses only please. Praise and healing (physical)…Seeking Gods will in both areas. We are currently praying for a family in which the mom has widespread terminal cancer. They have 6 children and she was also pregnant but has since lost the baby. They are a wonderful christian family. How to pray when it doesn’t look like your prayers are being heard or answered? Honestly, I want to pray for every friend that has a need that I can’t possibly solve. How do I find a balance between not praying fervently for any of them to being overwhelmed with the magnitude of need around me by trying to pray for all of them? What do you do when you feel like your prayers are all just repeats? I know God wants us to keep praying, but are we to repeat the same prayer over and over until it gets answered? Does God get tired of hearing the same prayer? I want to be persistent and I believe God hears and answers prayers (in His time) but to me it gets old and stale. Do we need to find new ways of praying about the same issue? I do believe that you will write an awesome book, Wendy. Thanks for your heart to minister to us! Wendy, how do I know that God is speaking to me through prayer? I know God answers my prayers on his time not as I want him to. Sometimes I just don’t know when he is speaking to me? Am I just not listeninrg? Is Prayer heard from the Spirit within yourself? I never hear God speak but I do see things that maybe him answering me. Will we see our loveliness when we join God? I struggle with praying out loud. I grew up memorizing prayers or scriptures to pray but changed denominations when I got older that doesn’t memorize prayers. Praying internal and quiet comes easier, as I can take time to sit still and focus on God, but when asked to pray out loud I struggle with words, everyone else seems so elegant. Yes!! I have been struggling with my prayer life here lately. I try to make it to complicated. I over think it. So, I guess my suggestion would be how to not make prayer so complicated. I know for me I guess I have made it so complicated because I don’t think I am not worthy enough. Growing up, my family never went to church. I would go when we went to visit grandparents or I would tag along with friends when I could. So the only people I really saw praying were people of the church. (Make sense?) Then I feel like I need to find the “right spot” to pray. Like I need to find the most holy spot in my house, because again, I have only really seen people praying in church. I am so thankful for the wisdom that God has blessed you with!! My question is similar to Cherie’s. I say the same prayers every morning [prayers for my husband, children and our beloved pets and prayers of thanks for angels that surround and guide me]. But does God tire of hearing the same prayers day after day? Of course I pray many times during each day when needs come to my attention. But God already has the perfect plan, right? Can my prayers on a specific issue [like my son’s decision to divorce our precious daughter in law] really make a difference in the course of my loved ones’ lives? If so, what would that prayer look like? 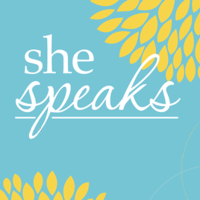 It was such a privilege to have you pray over me a couple of years ago at She Speaks, Wendy. You have an incredible gift and I can’t wait to read this book. And by the way, you prayed for the release of my youngest son from the grip of drugs. I’m so thrilled to report that he has been sober since September 17, 2017. He has opened his heart to God’s word and I’m so grateful. Thank you for your prayers and your love. What are your best practices for keeping record (and not forgetting) to pray for those who ask you for prayer or for those you tell that you will pray for? How do you handle feelings of guilt when you forget to pray for those you promise prayer to? Sometimes it feels as if my prayer list is massive— like it’s a never ending list of intercessions for my many loved ones, friends and family. It feels like I never have enough time, how do I practically cover those people, organizations and causes adequately and consistently with prayer? What suggestions do you have to build a routine that involves praying more broadly for our nation, our government, our churches, world peace, natural disaster victims, etc? It seems most of my daily prayers typically center on my loved ones (family, friends, neighbors, etc). I am blessed to be a person who is asleep virtually the minute my head hits the pillow. I’d like to build up a better nightly prayer routine. It seems that as I begin to pray at bedtime, I fall asleep before I make much progress on my prayer list, let alone finish my prayers. What suggestions do you have to help me be more consistent about night time prayers? I know there is incredible power in praying scriptures,what best practices or advice do you have for writing prayers, using scriptures and personalizing those for your circumstances. How often do you do this as a routine? Would love to hear any ideas, suggestions, format options and tips for maintaining a prayer journal. Do you use your normal daily journal or keep a separate one just for prayer? I am so excited that you are writing a book on prayer, and look forward to reading it. My question is about our approach to prayer. I know we are called to come before God’s throne of grace with confidence so that we may receive mercy and find grace to help us in our time of need (Hebrews 4:16). I oft times find my self “praying” for friends or family while I do the washing up or cleaning the house, but I do sometimes wonder if this is actually prayer or just a stream of consciousness that I am just speaking to myself and it is not reaching to God. 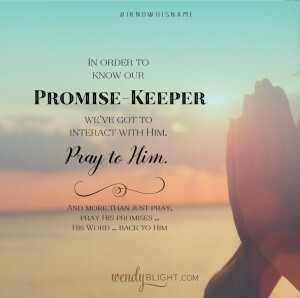 Do you think/can you research, do we first need to be remembering who God is and praising Him for who He is as in the Lord’s Prayer before we bring our petitions and intercession to Him or can we just call out to Him in our time of need or when we remember our friends needs? I like to use scripture as part of prayer. Do you have any great techniques for quickly or easily memorizing verses? I enjoy you and your insights. Praying God brings every word to you that needs to be said in your new book. I look forward to reading it!!! Yes, I agree with Cherie a bit. I think maybe when we’ve prayed and prayed and prayed for something over a long period, and didn’t get an answer, or maybe the answer was no, or He is answering in His perfect timing and way! Either way, I think He always knows all of the prayers in our hearts, so I don’t think that we have to always voice all of them, to have them be answered. We’re only human afterall and sometimes our prayer list is so long, we could be praying nonstop for months, maybe that’s the point. All I know is we need Him so! Thank You Lord that You are always with us! Thank you Wendy, we need you too, looking forward to your prayers and wisdom! This is awesome, so happy for you Wendy! I think I need to learn everything about prayer. I seem to always ask for something, either for myself or someone else. Can you show us how to give thanks without always asking for something? Also, do I pray as I am talking to a friend? I always feel like my prayers should be more formal. I am very excited to hear that you are writing a prayer book, I can’t wait to get it! This book would be awesome. Prayer is difficult for me. Praying out loud is next to impossible with out sobbing. And agreeing with some of the others, sometimes exhausting. I’m so grateful to God for bringing your words it to my life. Being saved for a long time I get a lot of things on paper that I still have trouble translating into every day. Reconciling God’s will of whether or not someone is healed here on Earth, to the verses that talk about faith moving mountains, where two or more are gathered in my name, to ask in my name and it will be done. How do we pray, have faith, and then when we receive that ‘no’ answer, not become bitter or lose faith. I believe in prayer. I believe it moves mountains. However, there are seasons it feels as if He answers everyone else’s prayers except mine. How do you stay encouraged during those seasons? I cling to knowing He is faithful, but those seasons He feels distant and silent are hard. And, here’s the biggest question/admission. Praying out loud TERRIFIES me. I am a prayer warrior, but a SILENT ONE. The thought of praying out loud is panic inducing and crippling. I even feel like I’ve let callings and ministry opportunities slip right through my hands because of that fear. I can’t “do that”, go to “that”, participate in “that” or lead “that” because what “if”. What “if” they ask me to pray or I know I’ll have to pray. I feel like a fraud at times because of that playbook of fear in my head. Gosh, that was daunting and overwhelming just to admit. I pray passionately, constantly, and am the one that others turn to for prayer and encouragement. I believe what I pray. That’s not the issue. I’ll instantly pray silently, type out a prayer in text or email, write in a journal or send in a card. Ask me to open my mouth and the words are met with panicked silence. A deep, deep fear. Prayer takes the focus off me and towards Him. For me it’s a form of worship …words decorated in Praise ! God is all-powerful, Creator of the Universe, Mighty King. But He’s also our tender, loving Father, constantly wooing us, the Groom longing for His bride. How do you pray with both of those extremes in mind? Am I kneeling before the throne of the King or sitting in the lap of my Daddy? How can one become more eloquent with their prayers? I feel like I stumble over my words or pray the words over and over. Your prayers are so beautiful. Thank you for being a blessing to all of us! I am so happy to hear that you are writing a book on prayer! 🙌 I’m an intercessor, and I take prayer very seriously. I’m moved to pray often for others, and I stay in prayer for myself and my family constantly. I’ve seen prayers answered, and I’ve seen what others would percieve as an unanswered prayer as an answer to prayer. So often, people think that God is silent, but just because He isn’t doing what we ask Him to do, doesn’t mean He isn’t listening and it certainly doesn’t mean He doesn’t care. He sees the bigger picture. Prayer is an ongoing journey of learning to fully trust Him. In the process of that journey, we discover so much about His love and grace. I still, still feel so very privledged to be able to talk to Him and share my heart with Him. I’m so thankful for Christ and the Holy Spirit, and humbled by the thought that He wants to spend time in prayer with me everyday, as often as I’ll open up my heart and mind to Him. I’m looking forward to your book on prayer! Praying for you as you write the book. So many will be blessed by your words! I feel like my prayers have become so routine. God knows what we need even before we pray. Yet, we know the importance & power of prayer. My desires are to become a better prayer warrior and to enrich my prayer time. Looking forward to your book, Wendy! I will be praying for you as you write it. How to pray with purpose? I like, Bess, feel like my prayers have become routine. I want to become a better prayer warrior and have more meaningful times of prayer. The whole praying the Scriptures thing. Whenever I try to pray a verse either for myself or others I just freeze. I know that the Word of God is powerful and want to learn to pray this way but just feel stuck. Also, tips on learning to be still and listen. It’s so easy to get distracted when I pray and I really want to focus more. I love the Lord with all my heart – but I totally struggle on what to say. I do better when praying for a specific need. I pray for my children and I say the same things over again. I would love to read a book about how to pray. Can our prayers change Gods plan/will. Can He have a plan and see our repentant sincere hearts then change and have compassion on us like in the Bible, prayers to save Sodom and Gomorrah or Gideon’s requests that God honored or God sending Aaron to help Moses talk to Pharoah? Sometimes I wonder if God already has everything planned out why pray? If you believe God is sovereign and works all things according to His purpose, then why would you pray for anything to be different? I have always struggled with that question. Mostly I just pray for strength for myself and others to deal with what they are going through. Help for long term prayers. For example, wayward relatives. Do you pray the same prayer every day? Can you take a break especially when your heart is too broken? Are you asking for something that isn’t going to happen? Yes we trust God’s plan so does that mean we should just wait on his will ( stop trying to act like we know what is best). Wendy, This book will be awesome! I struggle with prayer – knowing what to say, how to pray God’s promises, and how often to repeat a request or concern. I also have trouble letting go once I’ve prayed about something; instead of waiting and listening for God to answer me, I keep trying to solve everything on my own. Also how to find time to pray or find alone time with God without feeling like it’s something on my “to do” list. Why don’t we pray bold prayers and big prayers? Why don’t we see healing and marvelous things like Christians in other countries do from prAyer? How do we pray when we are in a season of toddlers and little kids, sleep deprived and to exhausted to pray? How do we teach our kids to pray, balancing between letting them prAy honest and genuine ones, but Also teaching them to be reverent without being legalistic? Praying scripture is so powerful, but like many ladies stated before their prayer time is not satisfying . I feel sometimes that I don’t know what to really pray, so I start to pray scripture and I feel like I’m just reading the scripture because it’s really not my own words(I didn’t think up the words), I’m just repeating someone words. I think that prayer is so vital to my walk but my prayer time is not were it should and could be. I do a lot of my personal time with God at night when all is quite, I start to pray and I fall asleep or my mind wanders. I struggle with feeling satisfied with my prayer time. Possible guidance in this area would help. Thanks Wendy!!! Wendy, I was so impressed and touched, by your beautiful prayers that I actually printed off some so I could say them. In your I Am Loved study, you mentioned Max Lucado’ s book on prayer. I just purchased it but haven’t opened it yet. I would purchase a book by you too! I, like those who posted before me, struggle with prayer, especially out loud. I have so many that need answered prayer, that are sick and fighting cancer. And most of the people that I know need saved. So many!!! I do quick chats and lots of praises to God through-out the day, but struggle with deep prayer. I’m doing the study by Priscilla Shirer the Armor of God and your study on Proverbs so I know how important powerful prayer is needed. May God’s Spirit lead you once again as you show your servitude to His glory. 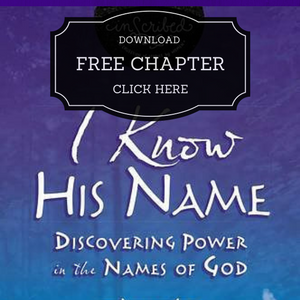 I am really looking forward to this book by you because you are a powerful prayer warrior! I have so many questions about prayer. How do I pray when I don’t feel near to God? How do I pray so that my prayers are acceptable to God? How does God want me to pray to Him? How do I pray when life situations don’t seem fair? How do I pray when my heart is hurting and broken? How do I pray when I don’t see any changes in what I have prayed for so many times before? How do I keep from becoming emotionally exhausted with the prayer needs of others? Wendy, I’d like a few prayers I can memorize to say for my adult children. When I feel fearful for their safety it when they are suffering through hardships… verses that can provide comfort and not to lengthy… that way I can carry them on my phone, post them on my mirrors etc and send them to other parents when they have need. Thank you! i so admire people who pray and the words just tumble out of thier mouths, I sorta pray like Jesus, be healed, or safe trip in Jesus name. I would like to learn to pray. My question is How important is what you say as long as God knows what you are asking for. The prayer seems to be in my mind but it is hard to say it out loud. I think for me the biggest question is if I should stop praying if I do not hear God’s guidance/opinion/thoughts or answer for a while (not just a matter of days, but months or years) on something particular that is a desire of my heart. It always makes me wonder if it means a ”no” and I should stop obsessing over it and move on or if I should still persist despite not hearing from God on it. There is this thin line but I have not learned to walk it yet: distinguishing between no and perseverance in prayer, esp when there is no ”feedback” from God on it. I love praying the Psalms, especially when I am going through a difficult situation. I also like to write/journal my prayers, helps me stay focused. I have trouble knowing how to pray sometimes, though, if it’s a long unanswered prayer, like change in a loved one. Do I just keep praying for the same thing? everyday? For things like my marriage, should I pray for the big picture/root problem, or the minor details? or both? Finding time to pray, with small children in the house, is also a challenge (I pray in the car whenever I’m alone). Great idea for a book! There can never be too much out there on this subject! Wendy, I would love help on praying the word. It is something I am striving to do, but I can’t seem to figure out how to get started. I would love to read more about it or just know your thoughts on it. Thank You, I would love to see this happen, because no matter how long we have been in God’s Word it seems like at times it is so difficult to pray, how to interceed for others, how to make the most out of your daily quiet time, be still and listen to him.. I am terrified to pray out loud, even in front of a couple people, or even just 1 person. I freeze up and I don’t know what to pray. I’m afraid that I won’t say the right things and I would love to overcome this. I pray all the time by myself and I am amazed every time I hear others pray out loud and I would love to be braver about this and get out of my comfort zone and learn to pray out loud! My son is 42 yrs. old. He was 6 when I became a Christian and a year later he made a profession of faith. He loved going to church and Bible stories. I really thought he was saved. Then when he was in High School he told our youth pastor he wasn’t sure he was really saved. At the age of 18 he stopped going to church and took up surfing on Sundays. I struggle as to how to pray. I have only found ONE book that addresses praying for our adult children. I wish there was more on praying for our adult children and that it didn’t automatically assume they are saved. Seeking wisdom as I pray for him and now his wife. Thank You Jesus for Diane. You perfectly chose her to be her son’s Mom. She has trained her son in the way he should go, and when he’s older, he won’t depart from it. Thank You for the story of the Prodigal Son. I love how the Father waits, watching the horizon, KNOWING his son would return. As moms, it’s so hard when our children make prodigal decisions. But her son, just like my daughter, will always fall in our arms of grace and love. We WANT the prodigal who will know grace and truth over the son who walked the fine line but never entered the party. Thank You for our kids doing their own searching, albeit painful. Their faith will be their own, not ours. You have begun a good work in our kids. YOU will be faithful to complete it until the day of Christ Jesus. In Jesus’ Name we pray and we praise You in advance for that amazing day of their return… amen! Thank you for sharing your story. I have received many questions like yours. 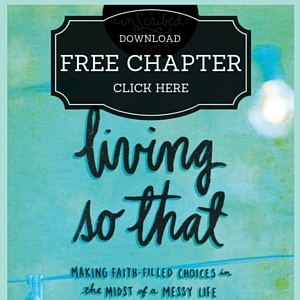 I do want to let you know my friend Jodie Berndt has just released a GREAT book on praying for your adult children. I HIGHLY recommend it!! I think it will help you so much. She addresses this very issue. This book will be amazing. Through your I am Loved OBS I have grown so much and continue to grow. But I must admit my biggest struggle is making time for God and being intentional about that time. I pray but it is not done in an intentional way, I call them drive by prayers, I may take a moment in the car or when I see someone on Facebook with a request. I had a great prayer time the other day, but it was when I had at least an hour uninterrupted to just talk to God and go through my devotional. I struggle being a non-morning person and staying up late to finish up cleaning the house or picking up after my kids. I would love a book giving ways that we can be intentional and carve out time. Also, how to pray, I feel like I do in an order every time, for example: Thanking God for Jesus and his sacrifice, thanking him for the blessings I have, praying for others, then my specific request. Then at the end a moment or two of quiet to really hear Him speak to me (by a moment, it may last just a second or two). As women we have so much pulling us in every direction and we forget to look up first thing in the morning and really just take the time to talk to God before our days get crazy. I believe that you have to be specific when praying for exactly whatever your needs are at the specific times. But sometimes it is difficult for me to put into words what I want to say. God knows our heart and even though we are not specific all the time with our prayers, He surely knows our needs. How can I go deeper with prayer ? What is intercession and how do I do it ? How do I pray for the lost and the people witnessing to them ? Explain the model of the Lord’s prayer. It was meant as a model, not to pray as is. So how exactly is Jesus telling us to pray ? Why did Jesus mention these things instead of other things ? What exactly is effective ferverent prayer and how do I do it ? Jesus tells us to pray to the Father in His name but so many people will start prayer off to Jesus and not God so will God still hear a prayer that is to Jesus? Does Jesus even hear it since we’re to pray to God in Jesus’ name? There seems to be so much confusion about prayer and I believe that has to do with people not being taught. I am so glad that you are writing this book on prayer! When I use the words of others in a prayer, is it still important to God? I have printed some beautiful prayers, including yours, and I love to pray them because it is hard for me sometimes to pray with my own words. I love to pray scripture, also. When I pray for my children, grandchildren, or others, sometimes I feel like I’m not thinking deeply enough or thinking clearly. I so want to have a relationship with the Lord and I just talk to Him and thank Him all the time, but I feel like He wants more. You are so natural when you pray…I want that! Thank you so much for this new book you are writing! I can’t wait to devour it like I have “I Am Loved”! I want to learn how to praise God in my prayers. Where do my prayers go before they are heard by God? How long are my prayers kept and heard in heaven by God? Is it better to have two or more praying for the same situation at the same time? I pray short “prayer bursts” throughout the day-most of the time with my eyes open-is this acceptable prayer to God? Do I need to call each person by name when I pray for them? How do I let go of my struggles and anxieties through prayer? How do I lay my burdens completely down in prayer? Should I still pray for those who have died? 1) Continuing to pray for situations that just never seem to change or improve; not seeing God’s will or plan in the situation. Avoiding burnout. 2) How to model/simplify prayers for my small children without it feeling too routine (and not relational). I will read ANYTHING you write about! Your insight, wisdom, and compassion are both encouraging and convicting. Thank you for the opportunity to win a memento from your last study! I’m so excited to see the final project!!! I am so thankful for the gifts He has given you, especially your gift to share your amazing insights! How to pray so that God truly hears you like speaking HIS language, his ‘love’ language-which is you(his love!) Which is a beautiful thing! Like speaking His power to come over you to enable you to do what you cannot do on your own. Like getting yourself in the position and posture of knowing you need Him to do the work FOR you and you cannot do it on your own. More specifically you don’t need His help, you need HIM!!! It’s more than you need His power to help you to do or not to do something you need HIM. Period. End of story! And how to achieve that beautiful surrendering of the facade in your mind that you have any power on your own without Him! This is a specific journey God has had me on for almost a year and I have seen amazing results in ways I never had before God revealed this dynamic truth to me. The truth of how He wants us to wholly trust Him and depend on Him and giving it all in to Him in faith knowing He’s got this, and I don’t! I personally desperately want to delve deeper into to this dimension of prayer and dependence on God so would love to see you take on this topic in your book! How do you not become discouraged when praying for someone’s salvation? My dad is not a Christian and my brother and I have shared the plan of salvation with him many times but he still refuses to believe. We pray for his salvation all the time, and my brother has since passed 4 years ago and it gets hard to keep praying without seeing results at times. I thought when my brother died and took it hard that he would accept Christ, but still hasn’t. I know it’s in God’s timing, just hard at times to wait. Do you find effective to pray with a “1 and Done” mentality? Or do you repeat the same prayer? How can I make my prayers more about God and less about my own needs and wants? I desire fir my prayers to be more in line with God’s plan for me. How can I know if they are? Sometimes my prayers feel like a long list of demands rather than an I to are conversation between a father and daughter. I want my prayers to be natural but I struggle with knowing what to say sometimes. I find writing my prayers and prayer journaling to be a great way to connect and also record the answers I feel God speaks to my spirit. How can I use prayer journaling to connect at a deeper level with God? All the best with your book, Wendy! I sometimes wonder about praying by myself vs. praying with another person/people. Is there more power in numbers are is a single prayer in your home just as effective? Sorry, should,be or not are. I’m excited that you’re embarking on this venture. It’s so good for us as Christians to read books on prayer continually, because it helps us grow in our prayer life. How to have confidence that God answers each and every prayer, just not in the way we sometimes desire and to teach that to others? How to pray bold, specific prayers and not vague prayers, asking “God to be with fill-in-the-blank”? How do we keep on keeping on in prayer when there seems to be no progress, yet we don’t have a sense that we’re to stop praying either? How can we make prayer a true conversation with the Lord? Someone else has mentioned this I think, but two things. When you are praying and dontvreally see or hear an answer, when God is quite, if you will. And how to balance asking for what you want while having a submissive attitude to God’s will if it opposite to your request. And, the prayers for healing. I know God heals, how to keep trusting when it’s not happening. I am never quite sure if what I am hearing is from God. I would like to know what you think scripture teaches about strength in numbers when it comes to praying. Wendy, this is SO absolutely awesome, or actually I feel a God-incidence. My word for 2018 was/is LOVE, and you wrote the book I Am Loved and had the Bible study on the book….I’ve already chosen my word for 2019 to be PRAYER and now you are talking writing a book about prayer. For me, I want to learn how to pray and especially praying Scripture. I’ve absolutely loved the prayers you shared with us in the OBS. How to listen for God’s voice when I pray? How to pray when the words just won’t come? Sometimes I feel like I pray the same thing over and over and wondering if God thinks I’m just crazy. How to pray with expectancy. 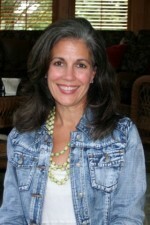 I look forward to reading anything you write, Wendy, and I especially love the prayers you write and pray many of them. Oh, Wendy! I’m so happy that you are writing a book on prayer! I think I’m a “prayer wimp”, as Max Lucado says in his book. It seems so hard for me to pray. I pray about the same things every day, and I wonder sometimes if my prayers even reach the ceiling. Lately, I’ve been wondering if there is something in my life that is blocking my connection with the Lord. I’ve tried using a prayer journal, and that helps, but I still feel that I’m just kind of going through the motions. I pray all during the day, thanking God for blessings, praying for my family and others, asking forgiveness, etc. It’s when I sit down to have a quiet time with the Lord, that my mind wanders and I can’t seem to concentrate. I’m reading a book right now, written by Elmer L. Towns, called “Praying the Lord’s Prayer for Spiritual Breakthrough.” It was written in 1997. I “happened” to find it in a newsletter I get that offers great prices on e-books. It’s written very clearly and simply….examining the different sections of the Lord’s Prayer and how to use them as models for our prayers. I’m asking God to use it to help me. I can’t wait to read your book! I would like to learn more about praying scripture back to God. Is it ok to pray silently? Does God hear my prayers if I don’t speak eloquently or know the Bible? How do I really pray without ceasing when I’m too broken to even get out of bed? You’ll be amazing at this book!! Can’t wait for this to come out!! After I Am Loved, I can’t wait to dive into another one of your books! I literally wrote down an hour ago some desires for my prayer life … praying from Scripture, praying bold, radical prayers, etc. I feel my prayer life is not where it should be and am looking to the Holy Spirit for guidance. 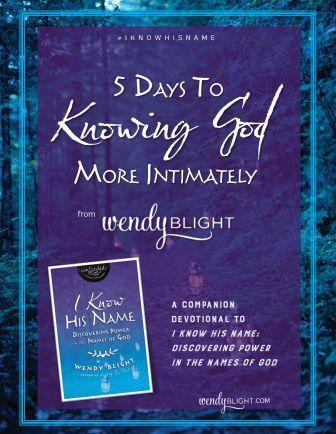 Oh Wendy I am so glad God has but on your heart to write a book about prayer! You are an amazing teacher and author. I think the subject of prayer is so important. We all could use help in our communication with God. I personally am confused about fasting in conjunction with prayer. Does one need to fast for prayer to be effective? If so how do you know when fasting is necessary? Now I am opening a can of worms lol. How does one fast? Okay I know that’s another book! I will be praying for your efforts in writing this book. Such a great topic Wendy! For me, prayer is all about my relationship with God. The more I know God, the more vibrant and intense my prayers are. I think some people also feel that we have to always be kneeling, so maybe something about posturing ourselves before the Lord. What do am we do when we feel unheard in our prayers? I know God is there and does hear, but what is the best way to handle our wait as we pray? Wendy, I do have one question. I am a prayer warrior and pray for many people. I pray with people and write prayers to them and also, just sit quietly and pray. I often pray and find comfort in Psalm 139:16..”all the days ordained for me were written in Your book before one came to be.” As I pray, I do trust God and know that His Will is what’s best, but I often wonder if/why we pray for healing or if I should. I believe God already knows. Sometimes this trips me up in my prayer life. I’d love for you to share what God’s Word says about this. Thank you, Wendy. 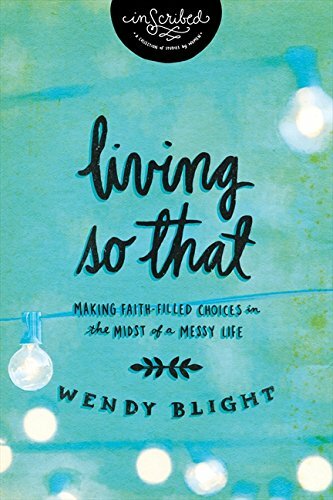 Praying God’s blessing upon your new book, Wendy. I have learned a couple of things about prayer. I was taught by God to pray for signs which taught me to be aware of what God was doing around me. I was walking through a difficult time with my husband at the time and I was in the alter call at church one night when a young lady walked over to where I was. She told me God had told her to tell me to pray for signs in my life. In the days that followed, I began to pray for signs and look for what God had been revealing to me. The clarity was crystal clear that God granted me. Another lesson I have learned in my prayer life is that God doesn’t always answer our prayers the way we want Him too. I have had to learn to pray for His will to be done in my life no matter the outcome. And always be thankful in prayer for whatever is going on in my life whether it is good or bad. I would love to read a new book about prayer written by you. I find myself just talking to God throughout the day and not formally praying anymore. And atnight when I’m going to sleep, I pray in a conversational way. Problem is I find it very relaxing and I fall asleep. Where is the balance between chatting with God and feverent prayer? We pray bc the Bible tells us to; Jesus modeled it and it brings us into s relationship with God. But does prayer change the outcome? If God knew us before the world was created, doesn’t God know how he will fulfill his will? Does praying for someone to get better actually help? 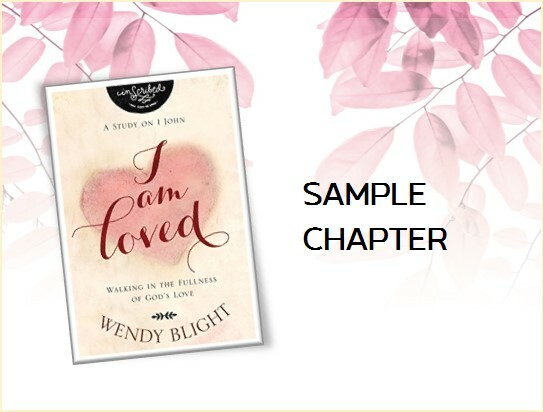 Wendy, I am so happy that you are writing this book! I love to read your prayers! Sometimes in stressful situations I shut down and I don’t pray, at all. How do I overcome that? How do I stop my mind from wandering during my prayers? I want a more rich and bold prayer life. I feel like I’ve grown so much in the area of prayer in this last year just by studying The Lord’s Prayer and also the entire Sermon On The Mount (the study took almost 2 years to go through!). I used to fear that I was doing something wrong if I never received an answer regarding my request. Now I’ve been realizing many times it’s not what He is doing around me or even changing my circumstances. Instead, prayer is my time to crack open my heart and ask Him to move. Sense out the areas that need change and allow Him permission to literally give me His healing touch. I’m realizing God can and will move IN me way before He changes outside circumstances because honestly, the changes in me are needed greater than the changes I thought I needed around me. Prayer is a relationship where I am being changed each and everyday. I so wish I understood that way before now! Can’t wait for your book and I know God will move BIG TIME!! I would like to know if silent prayer is effective as vocal prayer. Secondly i like praying at midnight and i do it silently whilst on my bed, do we have to always kneel down when we pray? Thank you. I think understanding how people prayed in the bible. Something with a new spin since there are good books on prayer. I get excited with anything you write though and jump to do those studies. Excited about your new book! Prayer is such an important part of my life. I journal my prayers a lot, but I also pray while driving, and silently while I am at work. I do believe God hears all of my prayers, and when I am not sure how to pray about something or I am to overwhelmed to pray… I ask the Holy Spirit to guide me to give me th words or I just simply tell God, I don’t know how to pray for this situation or my heart is broken and I can’t even say anything…..
Praying for God’s will sometimes it is difficult for me; discerning between His will or my desires. Unanswered prayers that I have prayed for many years, like salvation for my son, restoration in my marriage…. that is the part of praying that can be very painful/discouraging. Praying for physical healing for others. I am an oncology nurse practitioner and see how desperate people are on a daily basis for healing. People believing with all of their hearts, faith that God will give them physical healing in this earth; a desperate mom not wanting to leave their children behind; or a young dad fighting with all he’s got to get well and not leave his wife and children behind. I would love to see a chapter on prayer walking! I have been doing so for over two years now and God has so broken my heart for the people of the communities I have walked and prayed for. That said, it has been a struggle to get people to join me as they don’t usually grasp the concept. It would be awesome to have women everywhere putting feet to the street and interceding for their neighborhoods and cities! I feel God calling me to be an intercessor. I would love to hear your thoughts about the importance and power of intercession. I could only imagine the Biblical truths and role models you would point out. 😊 Your Biblical knowledge and understanding is so evident and encouraging. 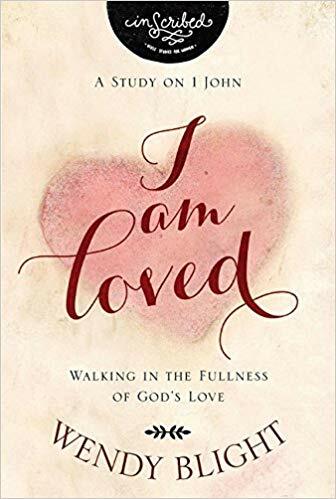 After doing the I Am Loved study, I started looking for more of your books and teaching! Can’t wait for this book!! I’m so excited for you Wendy! Praying for adult children and their significant other. I pray throughout the day and I am quick to say or type out a prayer for others when I am aware of the need. I’d love to incorporate scripture into my prayers so a “how to” plan and where to find appropriate scriptures for different request. Also another thought that we teach to our children is the “hand prayer” Basically the thumb and four fingers stand for be thankful, family, friends, our community and our world.. it helps them focus on each area during their prayer time. I’ve also found it to be helpful for me when I’m feeling overwhelmed with requests. Another thing is how to get from the me, me, me type of prayer to the God’s will type of will, and be joyful in the process. How to keep on praying when it feels like none of your prayers are being answered. How to pray scripture back to God in both praise and petition. Prayer can be a tricky thing. Is there a certain time of day? Or “way” to pray? Or certain place to pray? I know the Bible gives us an outline with the Lords Prayer which is helpful. Is prayer a conversation with God/Jesus? Friendly dialogue? Does Prayer have to be always about “asking” for help/guidance? Can saying “thank you” to God/Jesus be a form/type of prayer? Gods timing is always perfect, even when His timeline does not mesh with ours. I look forward to your new book Wendy. How do you pray through the hard times when the ungodly choices your children are making is just ripping your Momma heart to shreds? When they walk away from God and it feels like God isn’t listening to your prayers for them. Praying when praying is so hard. Wendy, you are one of my favorite authors. I love your studies and I’m looking forward to this one on prayer. I grew up Catholic where I would say memorized prayers at bedtime. As I grew closer to the Lord, I would just talk to Him or say “help me God!” when I needed help and even just tell God how awesome He is. As I grew even deeper and saw how others did it, I began to say more powerful prayers that included scripture (because I began to read the Bible and see how powerful His Word is). I battle with depression on and off and sometimes I struggle with knowing what to pray so I try to think of others who need prayer, and I pray for God to grow me closer to Him, help me not be prideful and show me any sin I need to repent of. It seems like my prayer life almost changes by the year or every few years. I have been blessed through praying the prayers you have posted on your website. I trust your book will be a blessing to many. How to continue to pray when you don’t feel like God is listening? More on how to pray scriptures. Are your prayers still effective even if you aren’t spending hours on your knees? Is spending time writing your prayers as effective? Help for if you feel like you don’t pray effectively. I learn from all of your books and I’m excited you’ll be writing this one. Thanks Wendy. I think a book of Prayers is a wonderful idea. I love to read your Prayers. I would really like to incorporate Scriptures in my Prayers. I was also wondering if the Prayers in your book will be about specific topics? I struggle with OCD, so a Prayer for that would be nice. Whatever you decide though I know I will love it & it will be so helpful. God Bless! I want to know how to listen to God in Prayer. I am looking forward to this book! You are a wonderful writer and your prayers are beautiful! I have kept and shared many of your prayers over the years. I have always loved how you were able to personalize scripture in your prayers. I have tried it with no success, or I gave up to easily. Are there tips to personalizing scripture? You make it seem so easy! Also, we are suppose to give our requests to God and trust. If I keep requesting, over and over, am I really trusting? Are we suppose to request once as that’s it? I struggle with that.. Another one of your many gifts is discernment, so you will know what to write! This book is going to be amazing and I can’t wait! My dear friend… I am PRAISING GOD for this road that you are traveling. 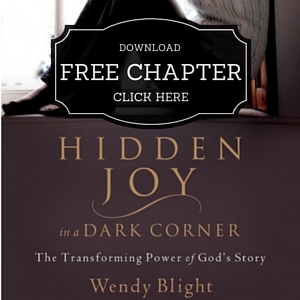 I think back to the first ever Wendy Blight Bible study I took on this blog. God chose YOU to teach me about praying HIs word back to Him. You transformed my prayer life! I also love how you dedicate certain days to pray for different categories. My biggest thing I’d love to read about is a constant struggle for me: being still. Listening for His whispers. Letting prayer be a two-way conversation. Like many others, I struggle with knowing I’m hearing the voice of God. There’s no cloud, no burning Bush etc. How can I tie biblical truths to everyday life as it relates to hearing the voice of God? I’d like instruction on how to be a better intercessor. I would like it ingrained in my heart and head that there is no right or wrong way to pray. 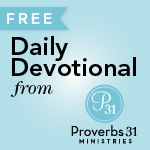 How can I get the assurance that God isn’t bothered by my prayers but welcomes them? This is very exciting…I have printed so many copies of the prayers that you have written and shared. I love the depth of your prayers and they sound so natural. My prayer personally is that God would take me to a new level of praying without ceasing and helping me pray my heart in and it not be so laborious, I seem to get tripped up or distracted SO…..will be anxiously waiting for your new book. Don’t know if you are going to categorize your prayers, family, marriage, children, husband, church etc but I PRAY that you will include many of your beautiful prayers! How do you pray for people who use and abuse you (not physically), and ask the Lord to change them, but you can’t go around them because of how they act? How do you say “thy will be done” when you are watching the destruction it creates with their kids from a far and know that something good will come out of it for the kids? How do you pray to forgive them continually (that I forgive them) because I want to spend eternity worshiping my Savior, yet the destruction they cause is relentless? The pain they inflict on family (especially their own children) is continual and they admit they do not care because they are more about themselves than others? Hi Theresa, thank you for sharing your questions about prayer. Your comment was drawn to win the giveaway! Please send your mailing address to deuteronomysix@aol.com. Thank you so much! I sent my address to you, please let me know if you did not receive it. Hey Theresa, I did not receive it and it’s not in my spam. Please send it again. Thanks!! I didn’t read all the comments, so likely this is already been said. I have many questions about prayer. When praying for healing for someone or myself, do you pray daily? If there a benefit to daily prayer for healing? Or, does the Lord know your heart so once and done is enough? Same applies to other prayers like the Parkland kids, government, president, or other things you have committed to pray for. If I pray for them daily, it seems like I am saying the same thing over and over as I don’t always have a personal relationship with the receiver of my prayers. I guess sometimes the words aren’t there, but I’ve committed to pray for them. Sometimes, it’s just to give them what they need today and bless them. Is that sufficient/ok? I love reading/praying the prayers you write. I look forward to your book on prayer and the teaching that will accompany it. Blessing! I like to know how to pray for the terminally ill who believed in their healing (God speak to them that they will be healed). Do I pray everyday for them. I feel for them. Sometimes, I feel that my prayer are repetitive.. I think i need to learn how to pray like having a chat with God. Do we need to pray over the same thing again and again. I get nervous when praying in a cell group meeting and it would turn out different from my private prayer with God. So, I try not to pray in a group, but, we dont we need people to know that they are prayed for? I’m not sure if what I hear is from God or from my own personal wanting/needing. I have a lot of questions on prayer and how to pray for someone or myself. First, I had to come to realize I MUST pray daily, if I want any peace and tranquility in my daily living. It sets the pace for me for the rest of the day. Second, I had to find a PRAYERFUL PLACE to pray daily. Where is that in my house? Well, now that all the children are grown and have moved out and we no longer have our little four-legged baby with us (passed away), the house is so silent after my husband leaves for work. It IS just me and God. My favorite place used to be upstairs in our loft (my war room), but now I have chosen the dining room where I can see out the windows and enjoy the beautiful day. However, my third point, and most difficult one for me, is WHAT to pray. It’s one thing to pray by habit, but it is another to pray being lead by the Spirit. That is what I try to do. It used to work for me – I would wait on the Lord and He would lead me to something, generally something I desperately needed for that day. I seemed to have lost that momentum lately (too many things happening in life). One of my biggest issues now is what tool to use to pray with – there are so many books and online resources, that I sometimes get overwhelmed. I buy this book and that, only to to never open it up and start. Too many good resources, but not sure what to pick and start with. Help! I had specifically prayed against something (sin) and protection, yet God still allowed it to happen. After it happened, I continued to pray; but God allowed it to happen again. Just sometimes struggle with “why pray” People have a free will. Focusing in prayer. Much too often I find my prayers wandering into areas of daily life, to do lists, and end up completely sidetracked. Then I feel guilty and wonder what is wrong with me, that I cannot sit still and focus long enough to worship and pray to the Lord. The past nine to ten years have been tough and I know God has been there with me, but I still struggle to trust at times due to all the years of unanswered prayers. I also have trouble praying out loud, yet looking back now, through this hard season of time He has grown me in that area. I have learned to pray out loud, wow, I just realized that. Trust and patience have grown through prayer, but I want to be bolder and more creative with those prayers that need repeating because they are yet to be answered. I know this is late, long and kind of rambling. But thank you for reaching out and writing this book. I can’t wait to read it. This book would help me grow in my understanding. Thanks for the opportunity.